It’s time to head to your local library or power up that e-reader! Giving Compass recently asked our partners to share their reading recommendations, from the books earning buzz to the classics. Find out which titles made it to the top and which themes dominated the lists. 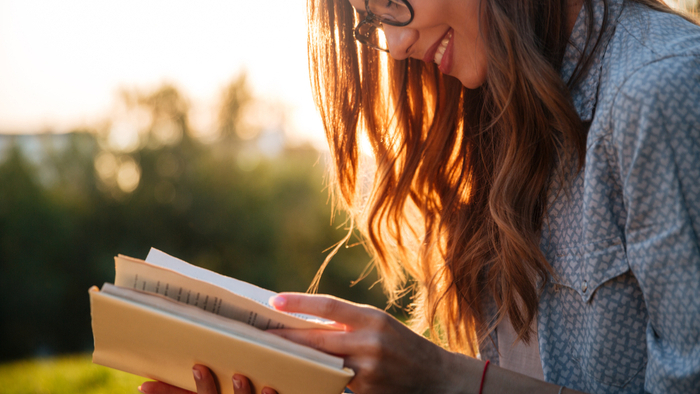 Tuck into these reads to expand your knowledge and further your philanthropic journey. The Philanthropy Roundtable calls Give Smart by Thomas J. Tierney and Joel L. Fleishman “an easy-to-read guide that walks donors through the key questions to ask when making giving decisions,” making it an essential tool for new philanthropists and philanthropists looking to change their strategy. Good to Great and the Social Sectors: Why Business Thinking Is Not the Answer by Jim Collins offers insight into why philanthropy shouldn’t be run like a business, and how donors should be thinking about their giving. Many philanthropists’ approach to giving are rooted in their professional experience. Philanthrocapitalism by Matthew Bishop & Michael Green and Creative Capitalism: A Conversation with Bill Gates, Warren Buffett, and Others by Michael Kinsley both feature the venture philanthropy and impact investing efforts of prominent philanthropists who are bringing their business know-how to their philanthropic endeavors. Other organizations are choosing to do good while they do well, pairing down the process. Social Startup Success: How the Best Nonprofits Launch, Scale Up, and Make a Difference by Kathleen Kelly Janus and The Social Profit Handbook by David Grant both offer insights for aspiring social entrepreneurs and the philanthropists and investors who want to support them. Meanwhile, interest in impact investing is growing at rapid clip. Readers can educate themselves on its role in creating change with The Power of Impact Investing: Putting Markets to Work for Profit and Global Good by Judith Rodin and Margot Brandenburg and The Purpose of Capital: Elements of Impact, Financial Flows and Personal Being by Jed Emerson. All of these methods of achieving impact come together in The Solution Revolution: How Business, Government, and Social Enterprises Are Teaming Up to Solve Society’s Toughest Problems by William Eggers and Paul Macmillan which describes how cross-sector collaboration can lead to impact. Race, poverty, and inequality have been major themes in 2018. Many of our contributors choose books on these topics. Cuz: The Life and Times of Michael A. by Danielle Allen and Just Mercy: A Story of Justice and Redemption by Bryan Stevenson put faces on the issue of mass incarceration, examining racism in the judicial system. Start Here: A Road Map to Reducing Mass Incarceration by Greg Berman and Julian Adler offers solutions for addressing this national crisis. Of course, issues of social justice go beyond mass incarceration. The Color of Law: A Forgotten History of How Our Government Segregated America by Richard Rothstein examines how segregation was cemented by racist laws, drawing the maps that still depict our country. With many families just one financial crisis away from losing their home, it’s important to gain a deeper understanding of these struggles. Evicted: Poverty and Profit in the American City by Matthew Desmond explores the lives of landlords and tenants in 2008 and 2009, revealing the challenges and realities of poverty during the recession. Technology can be used for good, but that doesn’t mean it will be. In Automating Inequality: How High-Tech Tools Profile, Police, and Punish the Poor, Virginia Eubanks explains how emerging technologies are being used to reinforce existing hierarchies. One great way to understand your role as a philanthropist is to read books by and about philanthropists. The Givers: Wealth, Power, and Philanthropy in a New Gilded Age by David Callahan and Who Really Cares? Who Gives, Who Doesn’t, and Why It Matters by Arthur Brooks offer overviews of the world of individual philanthropy. Learn from one of the most famous philanthropists of all time by reading The Gospel of Wealth by Andrew Carnegie. See our partners’ full lists for more great philanthropy book recommendations. Original contribution by Clarissa Coburn.